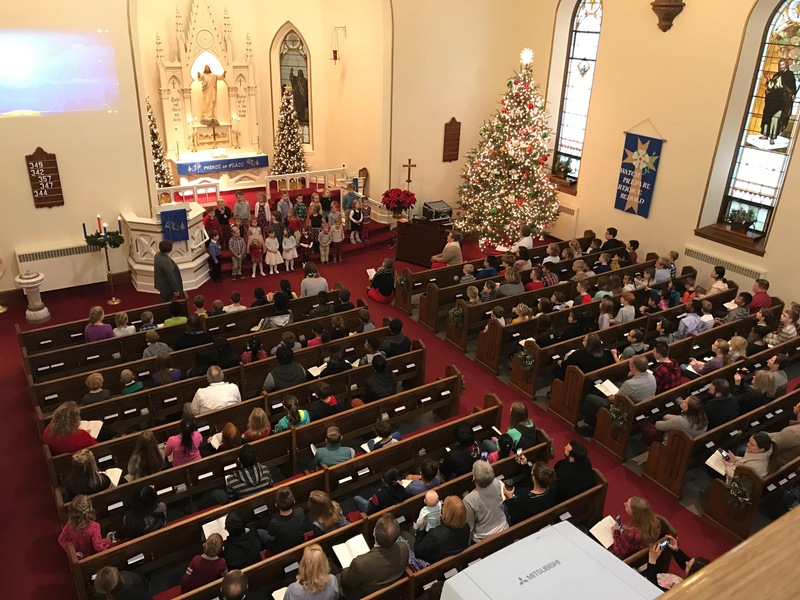 Chapel & Assemblies – Trinity Lutheran Church of Freistadt! Bookending our week on Monday mornings and Friday afternoons are energetic, joy-filled, school assemblies. Our assemblies include devotions, recitation on our identity in Christ, singing, games, and student-led recognition of achievement. Want to see our culture in action? Come to an assembly! Every Wednesday, the entire school gathers for worship at 8 a.m. Students sit with their “chapel family”, a smaller unit made up of 15 -18 Trinity staff and students in all grades. The older students are eager to mentor the younger students and lead by example in a worship setting. Chapel families also engage in various service opportunities throughout the school year. Chapel services include singing hymns and songs, a message, offering and prayer.